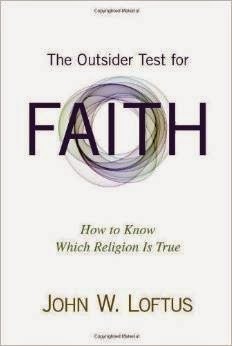 Debunking Christianity: The Outsiders Test of Faith in Less Than Five Minutes: Enjoy! The Outsiders Test of Faith in Less Than Five Minutes: Enjoy! For those of us who have bought and read John's excellent text, then you need no introduction. For those who haven't, this short video is for you!